This family room will please every child and parents, as the apartments have two bedrooms separated by a door, so everyone has their privacy. The apartments have one bedroom access to the bathroom with bath and shower and toilet and the second bedroom has a separate toilet. Massive furniture, as well as wooden lining, is the product of exclusively local forests and people. 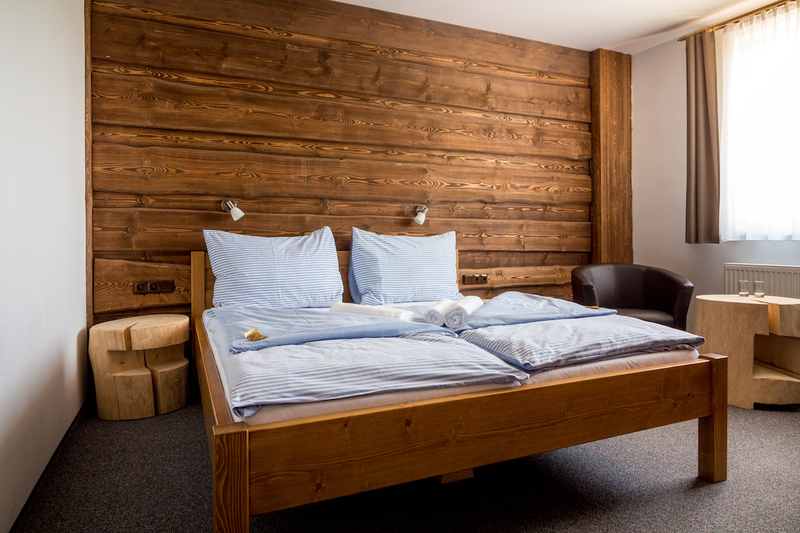 Hopefully it will be a dignified partner for your relaxation after excursions to the beauties of Šumava.